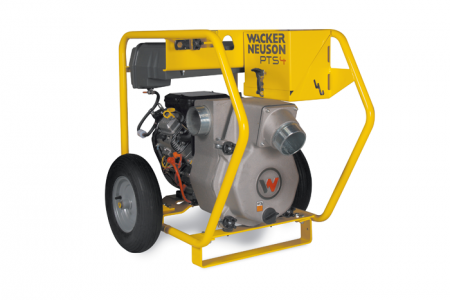 Wacker Neuson’s self-priming, high performance centrifugal trash pumps have proven themselves on jobsites around the world. Featuring electric start and a thread-on mixed flow impeller design, this trash pump has redefined the quality and durability standards of self-priming centrifugal trash pumps. Self-priming, high performance pump capable of handling solids up to 2 inches, ideal for jobsites requiring fast dependable dewatering on command. Hardened ductile iron impeller and volute, with patented volute insert, provides a rugged, easy to maintain pump that will stay on the job longer. 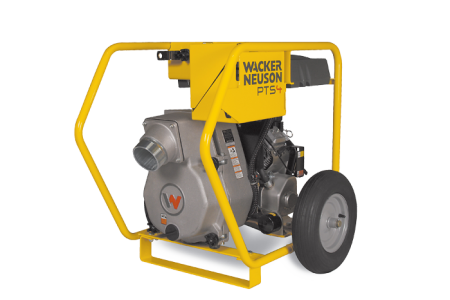 Heavy-duty frame with central lifting point and pneumatic tires combine pump and engine protection with easy transport. Mechanical seal runs in oil bath to reduce maintenance and protect seal in dry-run conditions.